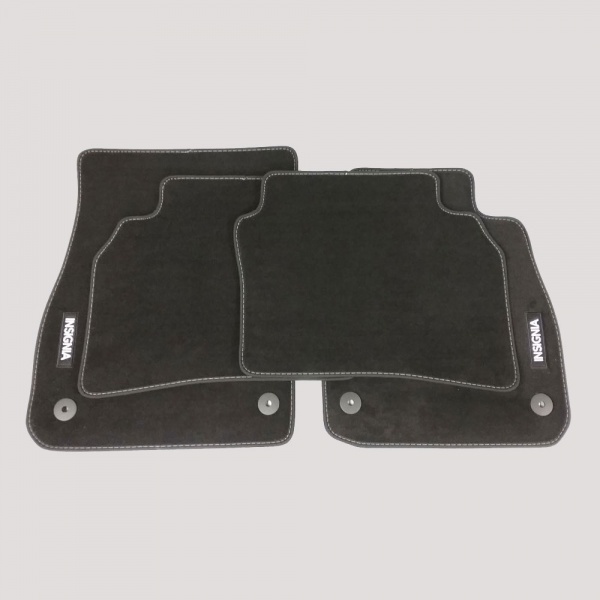 Genuine Vauxhall Insignia B velour mats tailored to fit your Vauxhall Insignia B. These popular, black, genuine Vauxhall Insignia B mats have the Insignia logo embroidered in white on the front mats. Fixing eyelets on the front mats fit over the fixing points in your vehicle to hold these mats in place.